Everyone enjoys the beach for different reasons. Some like to dig in the sand, stroll with their dog or swim. Others like to get active, get involved and get wet in the process! There really are a million reasons to try out Nanaimo beaches. The diversity of scenery, wildlife, and trails really is amazing, and one of the many reasons Nanaimo is such a hot visitor spot. It is hard to pin down the best beaches because they all have their own unique features which make them well worth a visit. 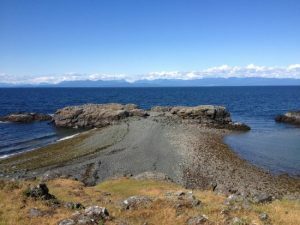 So, in this article we will walk you through some of our favourite Nanaimo Beaches for swimming, walking and activities. 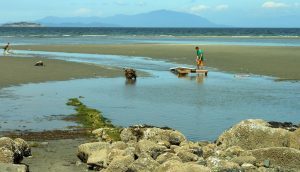 Many swimmers suggest heading North to Parksville, but in North Nanaimo you can find Blueback Drive beach which is a beautiful sandy haven for those who are looking for a paddle. This beach is a secluded spot, which can be found at the end of Blueback Road. There are a steep set of stairs to climb down to find your little piece of swimmer’s paradise, but this is one of the things that makes it a quieter spot to enjoy a few strokes. If exercise is the name of the game, the stairs are also used by locals as fitness equipment, and they really do get the heartrate running! 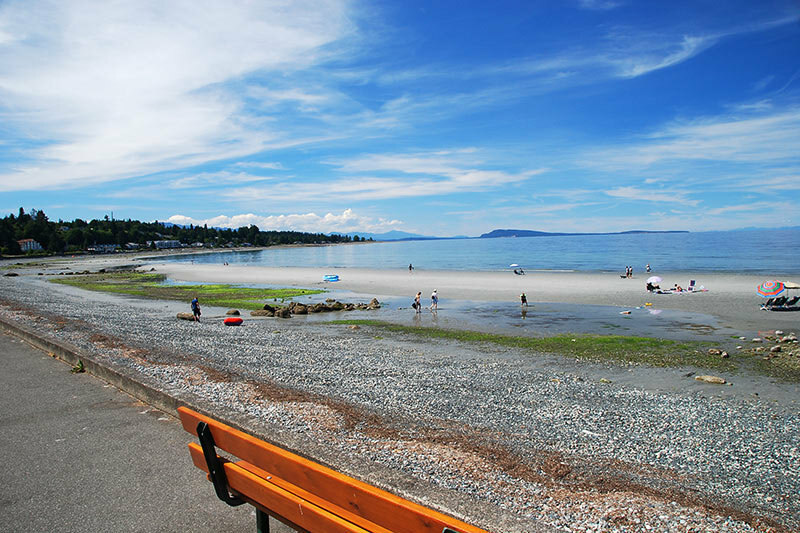 If, however, you do fancy heading further north out of Nanaimo centre, Qualicum beach makes an excellent choice. The beachfront is one of the largest on Vancouver Island. This is a stony beach which means it too is often a little quieter than some of it’s rivals. The northern end of the beach is best for swimming, and there are several facilities around too should you work up an appetite with all the paddling. Departure bay is a great choice of Nanaimo Beach for a stroll. It is a good mix of sand and stones which makes for fun trailing. It is best to walk the beach at low tide, because then you can walk along the sand flats where a plethora of marine life will have become exposed. The best thing about a beach walk is rescuing a stranded star fish or watching a crab scuttle away. The beach is horseshoe shapes too which makes for some beautiful scenery. Beachcombing is a great activity here, you never know what you might find! There are sightseeing benches along the high bank, as well as picnic tables and washrooms, all of which are very handy if a long walk is what you have in mind. Another great choice for walkers is Neck Point Park. It is a great marine sightseeing beach park with trails galore. There are stunning views across coastal mountains as well as a whole cluster of sandy beaches. The best thing about Neck Point is that it is set up for those out on a walk. There are lots of maps, information points, and the trails are really easy to follow. Many of them loop together which is handy should you decide to take a different route once you have started out. The scenery in the park is breath-taking, with such a wide array of flora and fauna, as well as fresh water and ocean. Wildlife lovers also won’t be disappointed, with many birds and sea mammals being spottable from the trails. The best thing about Nanaimo is that there are a number of beach parks. We have already looked at Neck Point, which has some great options for activities. 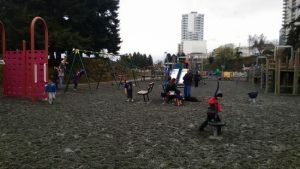 But the best for activities is Pipers Lagoon Park. It has some great viewpoints, and trails as well as seaside lookouts. Here you can undertake a spot of birdwatching or beachcombing and if flying a kite is your thing then this area gets some great winds. From here you can also try your hand at Scuba Diving or Rock Climbing or perhaps take your own fun with a Frisbee and some lawn games. Pipers Lagoon is a great choice for family activities and has all the amenities you will need. Swy-a-Lana Lagoon in Maffeo Sutton Park is Nanaimo’s top park for visitors as it overlooks the beautiful harbour. It is the central point along the Harbour Walkway and always has some event or another going on. There is a fantastic playground for the little ones as well as access to ferry trips and public art installations. You can even enjoy a game of basketball or a spot of fishing as well as paddling in the shallow waters. Maffeo is a great all rounder for a jam-packed day out of activities which is why it remains a firm favourite with visitors from all over the world. So there you have it, a fine selection of Nanaimo beaches for you to explore and enjoy. 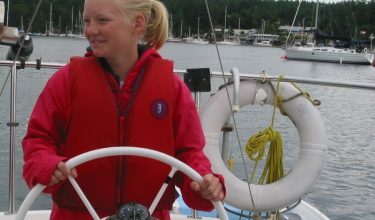 We would love to hear about your experiences of them all when we welcome you on board one of our charter yachts.